COOL: Spreading cold butter on toast instantly! | Everything is cool. 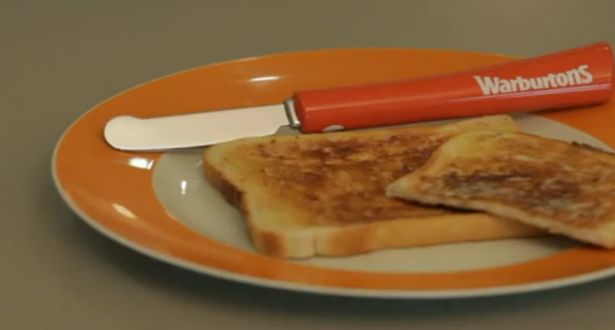 COOL: Spreading cold butter on toast instantly! Toast experts took their time but finally Warburtons have come up with the answer to the age old breakfast issue – butter that’s too cold to spread!! A special new knife whose blade heats to 41.8°C (107°F) after research found that is the optimum temperature to spread butter. Blatantly on lots of people’s Christmas wish list. Tagged: hate waiting for butter to warm, just hurry up! !, lurpak's probably the best butter, pretty much bugger all, what can you do with cold butter?